This elegant and yet contemporary design is vibrant in color and has a beautifully fresh look. 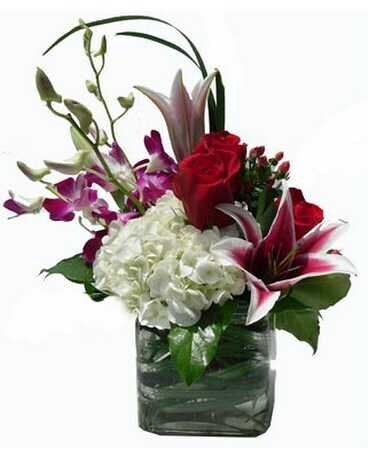 The clear cube is packed with fresh roses, dendrobium orchids, hydrangea, oriental lily and hypericum berry. Finished with lily grass, the design is perfectly fitting and provides a unique, European design. Inspired at Mon Matre, Paris.